Jeff is a graduate of Red River College having received a Design & Construction Technology diploma in 1999. Since graduation Jeff has gained experience in both construction estimating and in project management. In 2002 Jeff brought his substantial construction background to TDB where as Project Manager he is responsible for contract administration on a wide variety of projects. 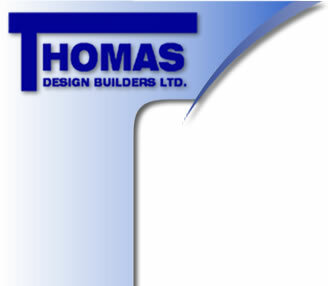 In 2007 Jeff became operations manager of Thomas Design Builders. Trevor earned an Honours Bachelor of Commerce degree from the University of Manitoba in 2003. Prior to graduation, Trevor experienced numerous years in the construction field. After receiving his degree he worked with a large insurance based construction firm as an assistant project manager. Trevor joined TDB in February 2007 and is responsible for project management and new business development. Further, his duties include management of financial operations. Ron brings over 35 years of construction experience to the Thomas team. Working with a large design build construction firm for over 20 years he was responsible for developing and expanding construction markets in Western Canada as a Branch Manager, Vice President and Senior Vice President capacity. Ron’s duties include business development, project management, and acting general manager. Arne graduated from the University of Manitoba with a Bachelor of Environmental studies degree in 1969 and a bachelor of Architecture degree in 1973. He has extensive experience in all types of building design from years working in the design build industry and with architectural offices in Winnipeg and Toronto. Arne joined TDB in 1988 as an associate and is responsible for building design and proposals. Louise joined Thomas Design in 1985 as a receptionist, answering phones, typing and doing various office duties. With the growth of the company, Louise completed evening courses in Accounting 1 and 2 and for over 20 years has been handling both the Accounts Receivables and Accounts Payables. Her duties have been extending to include payroll and certain aspects of human resources. Cathy graduated from Red River College with a diploma in Secretarial Science and has worked in administration for the past 20 years. She has continued her education with Word Processing, Excel, and self interest courses. Cathy joined TDB in 2001 and has enjoyed a wide variety of tasks from Reception to completion of administrative documentation such as correspondence, contracts, insurance records, etc. Bill received his Civil Engineering degree from the University of Manitoba in 1974, and first gained experience working as a structural engineer in the pulp and paper industry. This was followed by 2 years in engineering consulting after which he entered the design build construction field. Bill’s duties include business development and technical design consultant. Dan has over 30 years of experience in the Construction Industry ranging from site superintendent duties to managing major construction projects. As a consultant he now provides expertise and experience to project managers of the company.